​Yo Ho Ho and a Weekend of Strum! 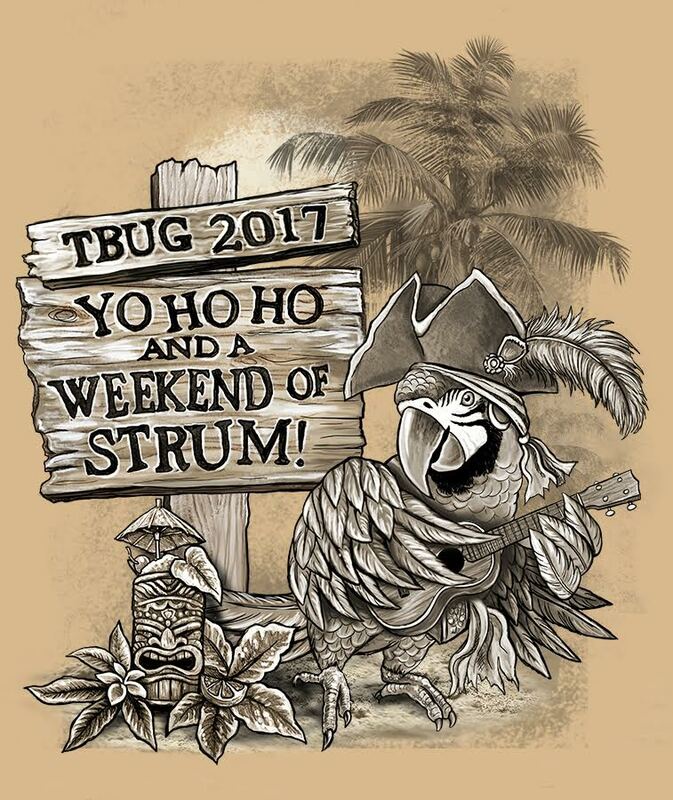 ​TBUG 2017 was November 3rd, 4th, 5th at The Sirata Beach Resort. TBUG 2017 photos from Tom McGuigan and Mary Mahoney can be found here and here. ​TBUG 2017 Program Guide available here. The Tampa Bay Ukulele Society is excited to announce the artist lineup for the Tampa Bay Ukulele Getaway. Each of these outstanding artists will be conducting custom workshops, meet and greets with attendees and performing a 45 minute set at Saturday Night's concert. Bigger, Better and at the Beach... Dont Miss Out!!! What happens when you give a certain little four-year-old girl a classical guitar and make her practice every day? In this case, you get Del Rey, one of the most rhythmic and musical ukulele players currently plying their trade on the third planet from the sun. No stranger to the ukulele world, Aaron has been teaching ukulele techniques and performing at festivals since 2004. As an educator with a bachelor's degree in Music Education and a master's degree in Musicology, his true talents lie in his ability to adapt instruction to fit a wide range of learners and learning styles. 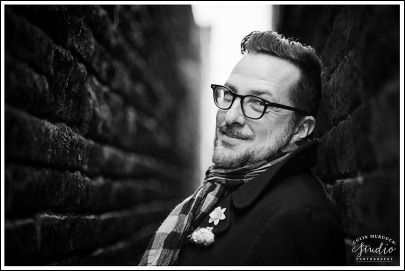 Aaron is an ambassador for old time folk music in the ukulele world, adapting banjo and guitar techniques to the ukulele (including playing in the "clawhammer" tradition). His YouTube instructional videos have gained a worldwide following and have led to teaching and performing opportunities in North America, Europe and Australia. Aaron is also a luthier, building instruments for Mya-Moe ukuleles (www.myamoe.com) since 2011 and as Beansprout banjo ukuleles from 2007-2011. Some people may discover The Applebutter Express through their new song “Hey My Brotha,” a single from their sophomore project One For The Home Team, which is featured in the Ron Howard film “The Good Lie” starring Reese Witherspoon released in October of 2015. However, the band’s story begins in 2004, when Kyle Biss met his future wife Shannon while working at a record store in Bradenton, Florida. Still a focused bass player, Kyle picked up a ukulele in 2010 and began to write songs, with the idea of singing with Shannon (his then girlfriend) for fun on the couch. Pretty soon the duo began making a name for themselves among the open mic community; in no time, the eclectic, tuneful duo – now known as The Applebutter Express – were the talk of Tampa, Florida. Kyle and Shannon married in 2011, and in 2012 added Joe Trivette on the fiddle. Newest member, Zach Rogers (bass) joined in 2015. Ty Olopai and his partner Mapuana will be our featured performers for the Sunday Luau. Ty was born and raised on the tiny island of Saipan. In his teen years he was always playing his guitar at family gatherings and school festivals. His favorite gig is when he is volunteering at his local community church as a musician for the choir. 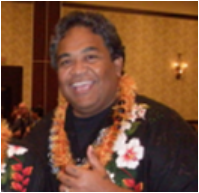 He left home in 1994 to attend UH, University of Hawaii-Hilo studying music. He then moved to Southern California. In 2001, Florida became his home away from home. He has been a freelance musician all over the state of Florida and other states playing the ukulele. He teaches ukulele regularly at Penny Lane Music in Fort Lauderdale. The same program format will be used as in previous TBUG festivals along with some new activities. There will be plenty of time all weekend to mingle with new and old friends, and a 24-hour jam room for those who just can't get enough!! Tickets are $189 and include admission to all events, lunch & dinner Saturday and Luau Lunch on Sunday. Tickets go on sale to the general public July 1st at 12:00 midnight. Is Friday night or Sunday Luau open to the public? No. With more than 300 paid attendees, we are at capacity for the hotel. You must wear your badge at all times to enter, to attend events, and to partake in the provided meals. Please do not come if you didn't buy a ticket. Thanks. Open Mic info: We have two open mic events. Friday is for solo or duo performers. Sunday is for a band (3 or more performers). There will be sign-up slips at Registration so we know how many want to participate (you will get to do 1 or 2 songs depending on how many enter). Can I buy raffle tickets, TBUG merchandise and auction items with a credit card? YES! We have lots of donations that will be in our raffle pool and silent auction so bring money and credit card!! This is going to be a great event and we look forward to seeing all of you. Click on the photo to book your room online. 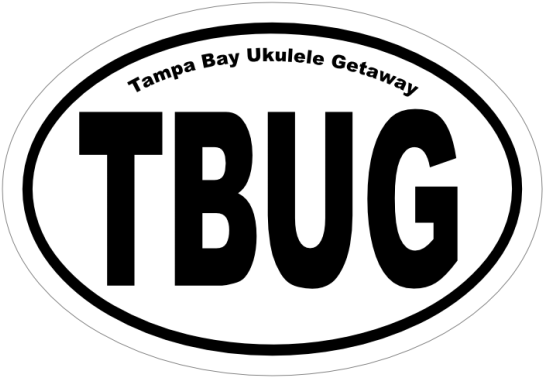 The Tampa Bay Ukulele Society has reserved a block of rooms with special discounted rates of $149 each for Friday and Saturday nights. For those wishing to extend their stay, the discounted rate of $124 is also available for Wednesday, Thursday, Sunday and Monday nights. Rooms go fast. Book now to reserve yours. Your credit card information will be taken, but you won't be charged until you check in. 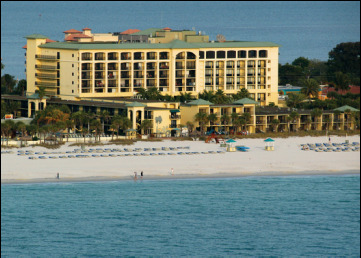 This family-friendly St. Pete resort offers a collection of comfortable guest rooms and suites with welcoming amenities and stunning water views and includes three swimming pools, a fitness center, and Wi-Fi access, among others. This casual beachfront resort also offers three signature restaurants and two of the best beachfront bars in St. Pete, and it’s only a 14-minute drive from the shops of John’s Pass Village and Boardwalk. Tickets go on sale July 1st at 12:00 Midnight.